Gordon Southern has successfully avoided winter for ten years, a feat only previously achieved by bees, some birds and most bears. He’s been fluttering delightfully between summer and autumn on a decade-long repeat. 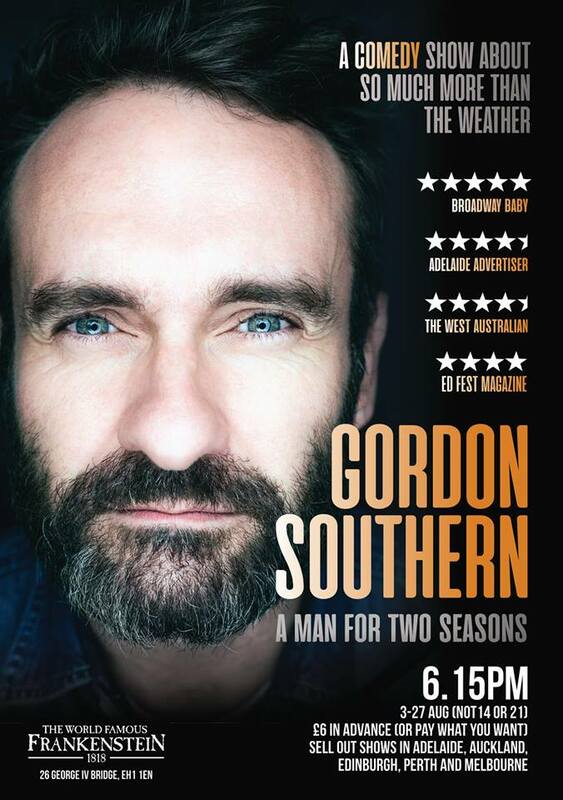 August at the Edinburgh Fringe is the closest thing to winter Gordon ever experiences. But this show is about much more than weather, there’s love, fame and jaw-dropping adventures in therapy. Seriously. This comedy show might even save your life. ‘Feel-good comedy at it’s best… Wildly entertaining and endlessly funny’ ***** (BroadwayBaby.com). ‘Top class all round’ (Sunday Times).